Who can forget the now-famous “Tor stinks” slide that was part of the Snowden trove of leaked docs. Tor use in Turkey spiked during the recent crackdown. Tor’s weakness to traffic analysis attacks is well-known. The original design documents highlight the system’s vulnerability to a “global passive adversary” that can see all the traffic both entering and leaving the Tor network. Such an adversary could correlate that traffic and de-anonymise every user.But as the Tor project’s cofounder Nick Mathewson explains, the problem of “Tor-relay adversaries” running poisoned nodes means that a theoretical adversary of this kind is not the network’s greatest threat. But that design comes at a cost. Web browsing requires low enough latency to be usable. The longer it takes for a webpage to load, the fewer the users who will tolerate the delay. In order to ensure that Web browsing is fast enough, Tor sacrifices some anonymity for usability and to cover traffic. Better to offer strong anonymity that many people will use than perfect anonymity that’s too slow for most people’s purposes, Tor’s designers reasoned. Mathewson says he’s excited by some of the anonymity systems emerging today but cautions that they are all still at the academic research phase and not yet ready for end users to download and use. The following five projects are breaking new ground in developing stronger anonymity systems. 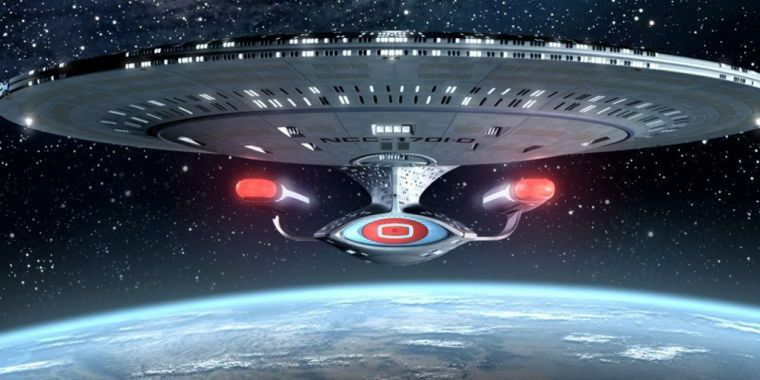 Here’s a rundown of the big ideas in this space, the current status of each project, and speculation from the researchers about when we might expect to see real-world deployment. The twin Aqua/Herd projects look closest to real-world deployment, so let’s start there. Aqua, short for “Anonymous Quanta,” is an anonymous file-sharing network design. Herd, based on Aqua, and with similar anonymity properties, is an anonymous voice-over-IP network design—”Signal without the metadata,” as its project leader Stevens Le Blond, a research scientist at the Max Planck Institute for Software Systems (MPI-SWS) in Germany, explains to Ars. “Aqua and Herd attempt to reconcile efficiency and anonymity by designing, implementing, and deploying anonymity networks which provide low latency and/or high bandwidth without sacrificing anonymity,” Le Blond says. According to Ford, the Herd/Aqua projects offer the most incremental advances in anonymity technology. “It’s not inconceivable that something like Aqua or Herd could replace Tor,” he says. How the Vuvuzela/Alpenhorn creators see their work compared to other anonymity projects. Developed by a team of researchers at MIT’s Computer Science and Artificial Intelligence Laboratory (CSAIL), Vuvuzela’s approach to anonymous chat is to encrypt the metadata that it can, add noise to the metadata that it can’t, and use differential privacy to analyse how much anonymity this noise provides. With strong anonymity guarantees come trade-offs in latency and bandwidth. Bryan Ford’s Dissent Project made a bit of a splash a few years ago by pushing the slider to 11 on the anonymity scale. Dissent’s proof-of-concept offers cryptographically provable anonymity—but at a high cost in terms of scalability and usability. 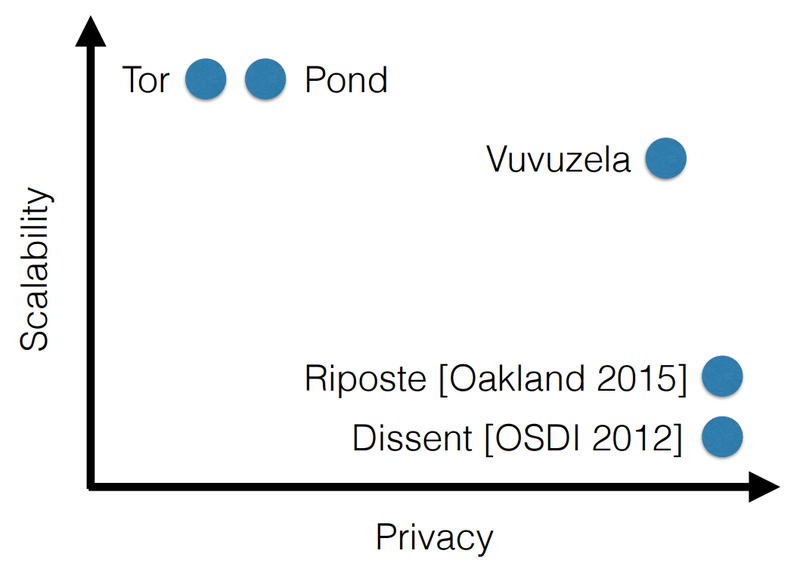 Unlike Tor’s onion-routing model, Dissent is based on a dining cryptographers algorithm, or “DC-net.” Combined with a verifiable-shuffle algorithm, Dissent offers the most anonymous design currently under investigation by researchers. Dissent’s high latency and low bandwidth make it most suitable for, well, dissent. The project’s optimal use-case is one-to-many broadcasting that does not require real-time interaction, such as blogging, microblogging (anonymous Twitter, anyone? ), or even IRC. Dissent also has the potential to offer what Ford calls “PriFi”—integrated into a corporate or campus WiFi network, the platform could offer provably anonymous Web browsing within that set of users. A passive observer would know someone on campus was viewing a certain website, for example, but they would not be able to identify which user it was. PriFi traffic connecting to the Tor network would offer even stronger anonymity. Dissent has become something of a touchstone among anonymity researchers. The following two projects were both inspired, in part, by Dissent and a desire to make a more efficient anonymity system while still retaining much of Dissent’s strength. Like Aqua, Riffle‘s main use-case is anonymous filesharing. Contrary to some reports that its new anonymity system could replace Tor, Riffle would, if successfully deployed, not only complement Tor, but perhaps even make it faster by giving users sharing large files a more secure alternative. Kwon’s interest in developing anonymous filesharing has nothing to do with enabling copyright infringement, he explains, but rather a desire to help journalists anonymously share large files and to make it easier for whistleblowers to submit large document sets to publishers. Riffle was inspired by the Dissent project and, like Dissent, uses a verifiable shuffle algorithm (hence the name “Riffle”), but forgoes the DC-net crypto primitive in order to make the network more efficient. It could also be used for anonymous microblogging, Kwon says, though as an academic prototype, it is not usable by a “regular person.” He plans to spend the next semester building a public alpha release. “Low-latency anonymity is inherently problematic when you’re looking at an adversary that is able to see large parts of—or the interesting parts of—the network,” he explains. The gap between academia and real-world deployment poses a challenge for researchers wanting to scale their next-gen anonymity prototype in production. Academics in search of tenure face an incentive structure that rewards publishing new ideas and proofs-of-concept—not building software, attracting users, and scaling adoption. Mathewson is sympathetic. Tor began as a research paper that he says he expected to deploy for a few years before handing over to someone else. More than 10 years later, the Tor Project has developed deep experience in maintaining a network that, for many dissidents, is critical infrastructure when it’s the only barrier between a seditious tweet or blog post and a visit by the secret police.His counsel to researchers is this: eat your own dog food. Today, three years post-Snowden, strong encryption has grown increasingly ubiquitous, channelling more Web traffic than ever before and enabling end-to-end secure communication for a billion WhatsApp and Signal users. JM Porup is a freelance cybersecurity reporter who lives in Toronto. When he dies his epitaph will simply read “assume breach.” You can find him on Twitter at @toholdaquill.